By the Leagros Group Painter. Height 28.5 cm, diameter of rim 31.7 cm, diameter of prop 19.1 cm. Saint Petersburg, The State Hermitage MuseumInv. No. Б. 4463. 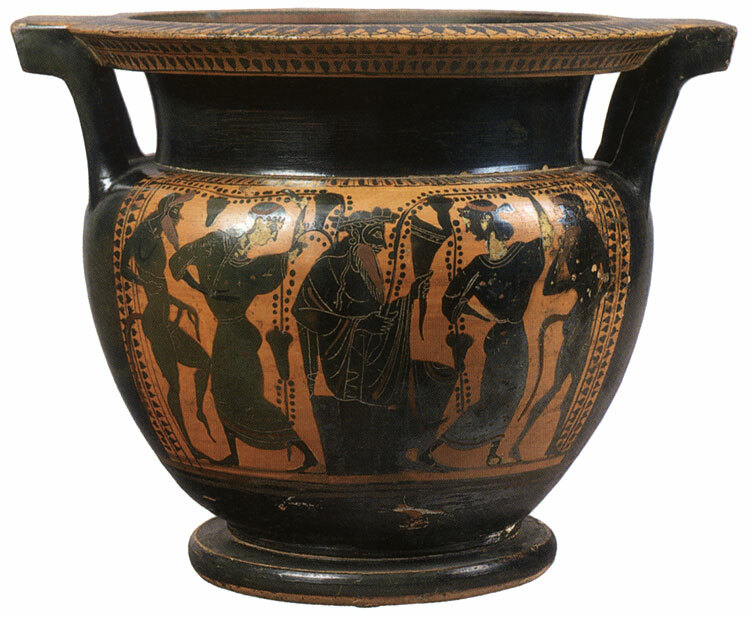 Dionysos and his companions; dokimasia. Height 28.5 cm, diameter of rim 31.7 cm, diameter of prop 19.1 cm. Receipt: from the M. Botkin collection, 1928. © Photo, text: Antichnoe nasledie v iskusstve Zapadnoi Evropy. Katalog vystavki. s. 28 cat. No. 16.